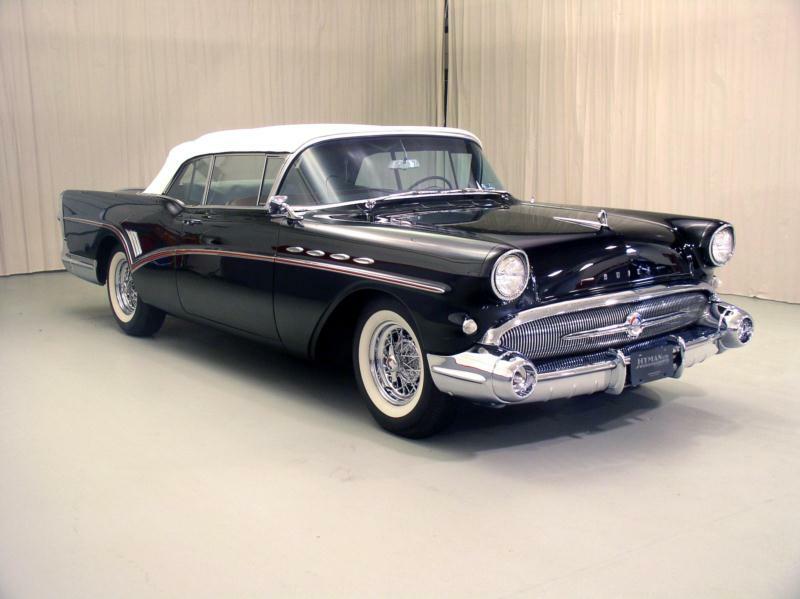 In the legendary 1957 model year, Buick updated its premium Roadmaster Series 70, and introduced a new Series 75 as the top of the line. 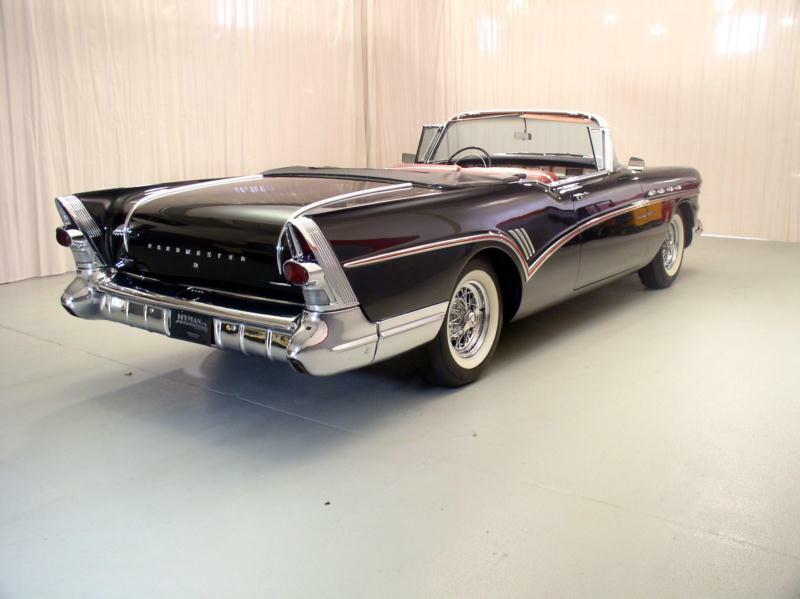 Along with the Series 50 Super, the Roadmasters were Buick’s largest cars. The changes from the 1956 model year were significant -- the 1957 Roadmasters were dramatically styled with chrome sweep spears and chromed rear splash area rockers. The 4-door sedan body in the older Roadmasters was gone from the lineup for 1957. In this era, Roadmasters were available as 2-door or 4-door hardtops, or as a 2-door convertible. There is some confusion about the Riviera model designation in this era. Starting in 1949, the Riviera name had been applied to hardtop Buicks of any series. So in 1957, all Roadmasters except the convertibles were Rivieras. Another variation to note in the 1957 Roadmasters is that early model year examples were offered with three-piece rear windows, but a mid-year revision allowed a one-piece rear window option that became standard in 1958. The two rear window styles were produced in roughly equal numbers in both of the closed body styles.All Series 75 Roadmasters used the one-piece rear window. 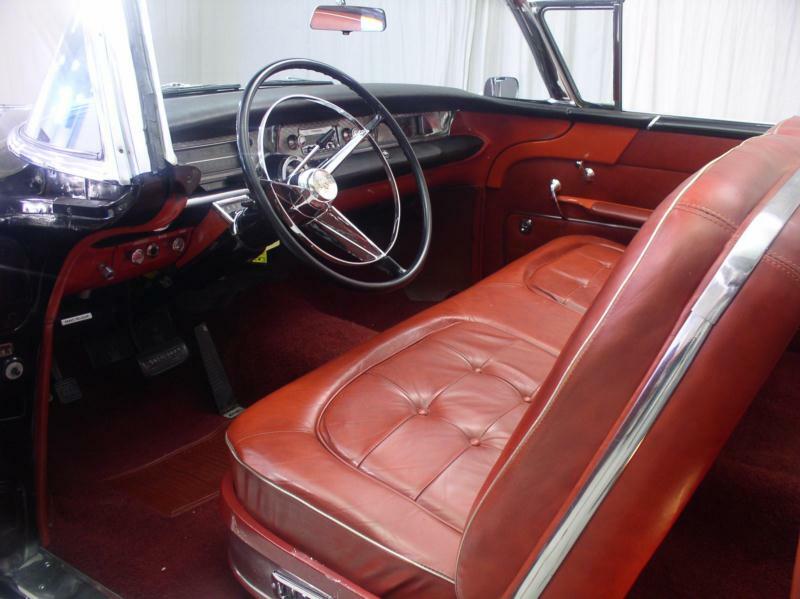 Series 75 cars offered a more luxurious interior and all power-assisted features were standard. Options included air conditioning, radios, seat belts, and the usual array of small features. Both Series 70 and Series 75 Roadmasters featured four Ventiports on the front fenders. 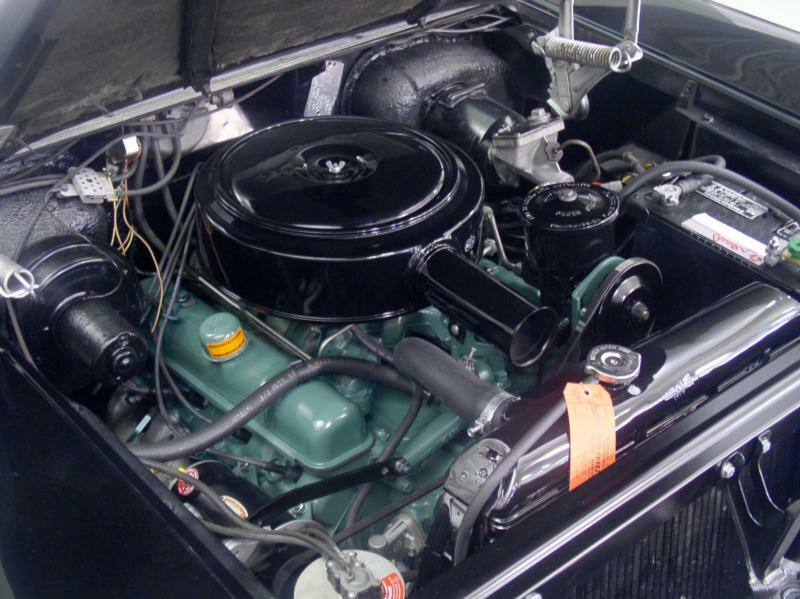 Engine power was provided by the standard 364-cid Buick Nailhead V-8, with 10:1 compression and a four-barrel carburetor. This engine was rated at 300 hp, but an optional high-performance package boosted that to 330 hp. The 2-speed Dynaflow automatic transmission was standard on all Roadmaster models. 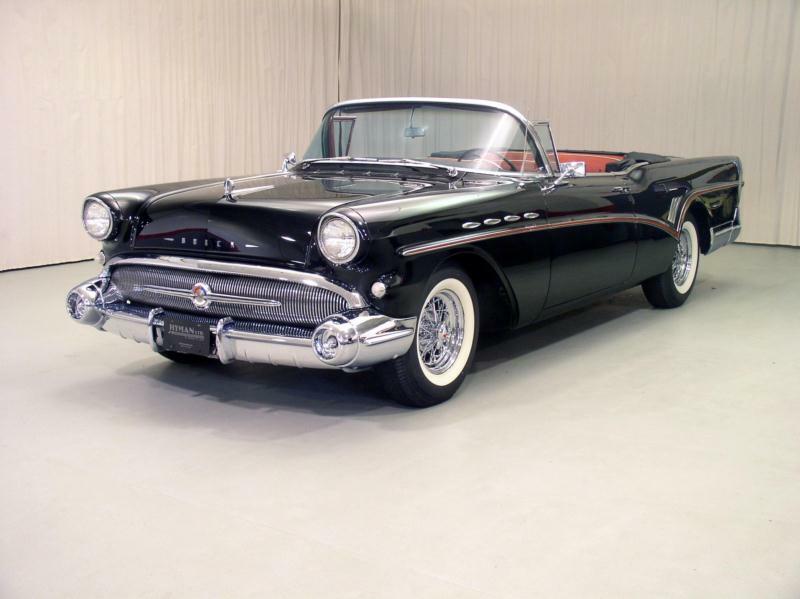 For 1958, Buick dropped the Series 70 Roadmaster, focusing on the Series 75 and bringing in the Limited series as the new top-of-the-line model. The sweep spear was lowered to accommodate a rocket-shaped trim panel on the rear fenders. 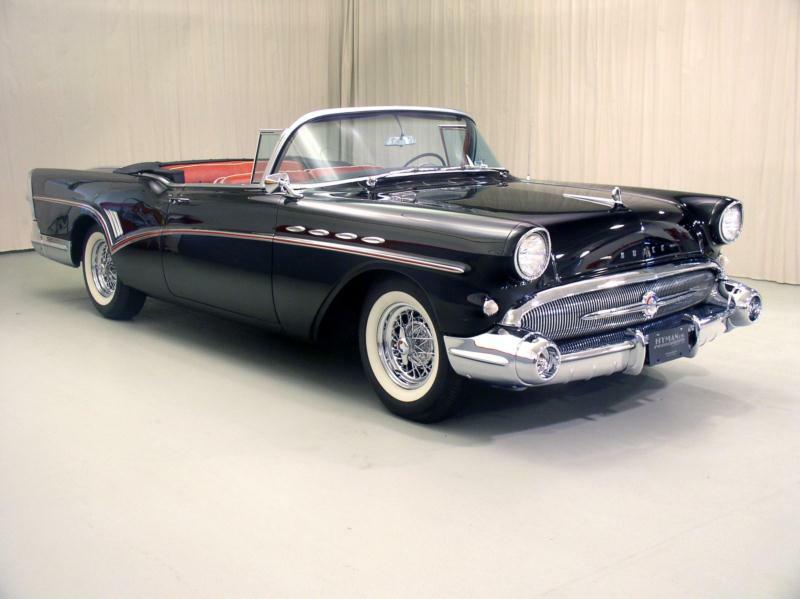 Another distinguishing item on the 1958 Buicks is the lack of the traditional Ventiport portholes. The engine and drivetrain proceeded unchanged. Collectors will want to focus on the convertibles, though any Roadmaster in this era is collectible. 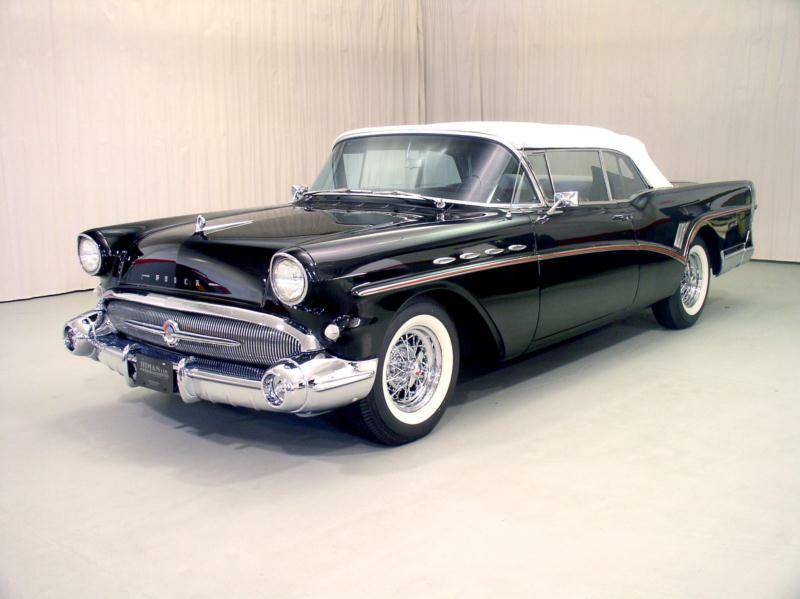 Total Roadmaster production in 1957 and 1958 is close to 60,000 cars, but only about 5,500 of those were convertibles. 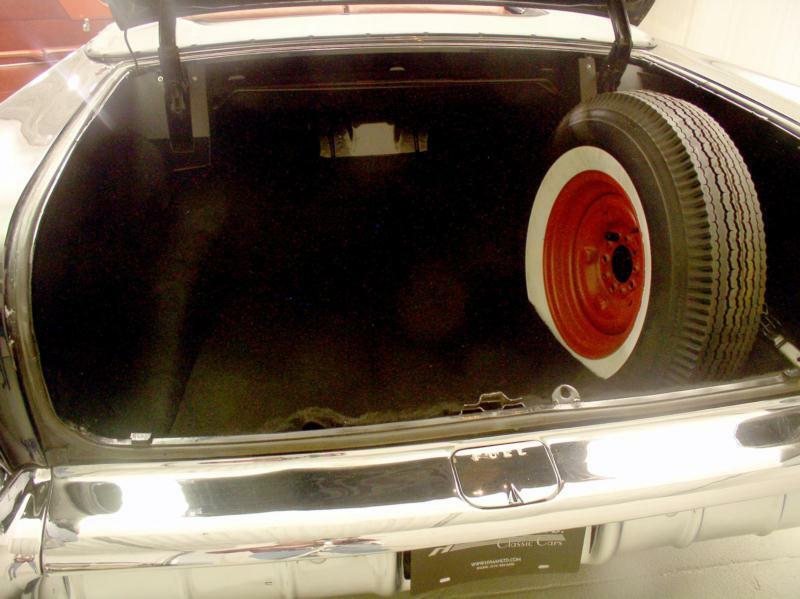 The 1957 high performance kit may be found on some cars, but check provenance to be sure. Series 75 cars from 1957 will be better equipped than Series 70. Body differences between the two years will be purely a matter of personal preference.